The Eden Valley is a much quieter area of Cumbria with its traditional towns and pubs, beautiful hamlets and sandstone villages some dating back to Viking times, lush green countryside and dramatic landscapes. 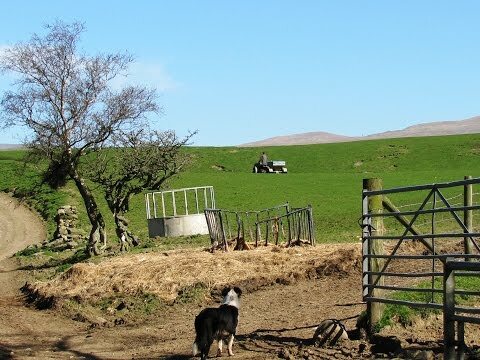 The valley is unspoiled by industry and lies between the Lake District to the west and the Pennines to the east and the Howgill Fells to the south. Eden is excellent for walking and cycling with many paths to choose from. The Settle to Carlisle railway runs through the valley and occasionally steam trains can be seen on this line. The River Eden meanders through the valley with its source at Mallerstang in the Pennines near the North Yorkshire border to the Solway Firth at Carlisle. The River Eden is one of only a few rivers that flow northwards and along with many tranquil riverside walks it is one of the finest salmon and trout fishing rivers in the north of England. Dufton is a peaceful pretty village situated on the eastern side of the Eden Valley and only about 3 miles north from Appleby-in-Westmorland. The village was built around an oblong green which is divided into two diagonally by an avenue of lime trees. The houses were built from the 17th century onwards and the village has changed little over the last 100 years. The Stag Inn situated in the centre of Dufton Village overlooking the green was built in 1703 as an inn with solid oak beams. This classic country pub upholds the centuries old tradition of friendly hospitality, good beer and serves a wide choice of meals to tempt the visitor or walker. The shop and tearoom opposite the pub is now called the Post Box Pantry open 9am till 5pm seven days a week selling a variety of goods and serving hot and cold snacks and refreshments. The village also has a Caravan and Camping Park and a Youth Hostel which backs onto Dufton Ghyll a nature reserve of deciduous woodland on the banks of a steep ravine attracting many species of wildlife including the red squirrel. Dufton a designated conservation area in 2005 borders the North Pennines Area of Outstanding Natural Beauty. The Pennine Way, Pennine Bridle Way and the Pennine Cycle Way pass through the village. Dufton Pike sits neatly above Dufton to the north east and at 481 metres (1578 feet) is listed as a Marilyn, a hill with topographic prominence of at least 150 metres. Dufton Pike has a prominence of 163 metres (535 feet). Its parent peak is Cross Fell which lies to the north and can be reached via the Pennine Way. Beyond Dufton Pike there is much evidence of the mine workings. Dufton was a centre for lead mining in the 18th and 19th centuries. The London Lead Company developed the village through the construction of houses, a school, a library and the installation of piped water. A fountain and circular water trough built by the company can be seen in the centre of the village green. Great Rundale Tarn is just over half a mile long and one of a few on the boggy plateau above the old lead mines. It does not drain into Great Rundale Beck but heads east into Maize Beck and eventually into the North Sea via the River Tees. We turn left out of the car park and make our way through the village following the main road past the Stag Inn on the right and the Youth Hostel on the left. When the road turns left we turn right along the track signposted Coatsyke Farm. We keep heading forwards then bear left at the sign post Pennine Way. Keeping to the Pennine Way (Dufton Pike on our right) we go through the farm and follow the track with the wall on our left. At the end of the field we go over a stile and follow the path slightly uphill through like an avenue of trees then a wall on our left. We go through a gate and pass an old farm building then just keep following the track past a pond on our right. The track soon starts to go downhill and at the bottom the Pennine Way turns left through a gate but we head straight forwards with the wall and Great Rundale Beck on our left. We soon go through a couple of gates and keep heading forwards. A short way after the track bears right we go over the stile in the wall on the left and head steeply uphill to the next stile. We cross over and turn left. We now follow the track uphill through the old mine workings until we arrive at a shooting hut with Great Rundale Tarn on our right. We now about turn and retrace our steps back to the stile where we turned left up to the mines. We do not cross the stile but bear left and follow the track with the wall on our right (Dufton Pike on our right). We now keep following the track downhill passing Pusgill House and over a little beck. When we reach the road back at Dufton we turn right following the road back to the car park. This is a moderate walk on tracks and paths with gates and stiles. The track up to the lead mines and the tarn is stony and quite steep in places. Approx 8 miles allow 4 hours using OS Explorer Map OL19, Howgill Fells & Upper Eden Valley. Start point: Dufton free car park. Dufton is in the Eden Valley of Cumbria. Travelling west on the A66 from Scotch Corner after passing Brough and Warcop take the left turn for Appleby-in-Westmorland. Turn right onto the B6542 heading through Appleby at the y-junction take the right fork under the railway bridge and under the A66 and follow road to Dufton. After double bend car park is on the left. Travelling east on the A66 from Penrith take a left turn for Long Marton. In Long Marton take the first left under the railway bridge and follow road bearing right into Dufton. Car park is on the right. Parking: Dufton free car park and some road side parking. There are public toilets in the car park and for refreshments there is the Stag Inn and the Post Box Pantry. The next nearest facilities are at Appleby-in-Westmorland.